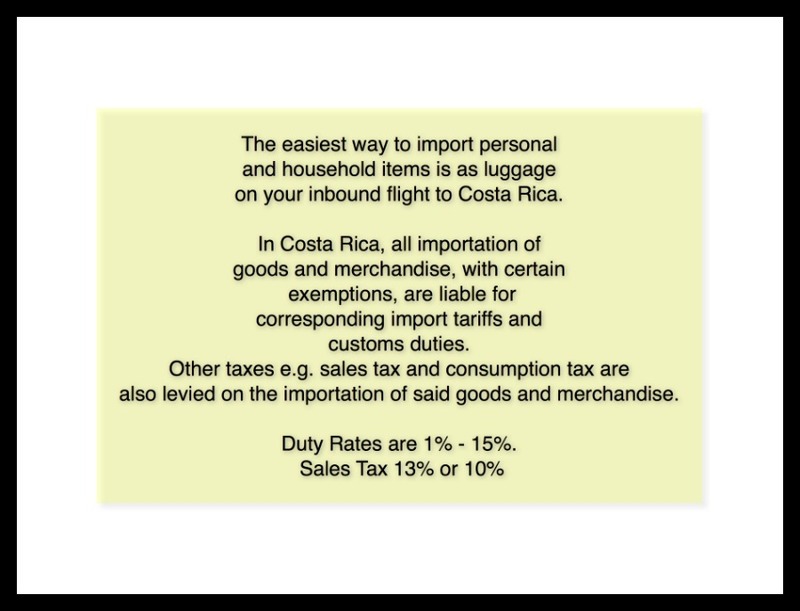 "Just order it online and have it shipped"
People always look at me funny when I tell them that, it's not that easy, to have things shipped to me in Costa Rica. First and foremost, there are really no addresses here. There is no free, everyday mail delivery here. I use a mail forwarding company called Aeropost to deliver my mail. All of my mail is forwarded to the Aeropost office in Miami and then sent to my local office in Grecia for pick up. Each time I receive a letter or package, they send me an email and deduct $1.58 from my credit card (packages are more) and I go into town to fetch it. I've gotten pretty used to getting my mail like this and it's not the worst thing in the world. At least I can GET mail! You can also opt for a PO Box at the local post office for a small yearly fee, but either way - you pay! BTW - I have really cut down on the amount of mail I receive and it's nice not to have a mailbox full of junk everyday! Sending and receiving packages - that is a whole other thing! I have not sent any packages yet and I have had not ordered anything because in addition to the fact that even though Amazon delivers to over 100 countries and there is even an Amazon Costa Rica -- it still isn't that easy. You folks back in the states have been spoiled rotten with your Amazon Prime - no shipping cost - next day delivery!! My darlings, "Come with me to life in paradise!" You might also want to consider this when you decide whether to ship your personal belongings. I enjoy photography. I forgot and I left my battery charger and battery plugged into the socket in California. It took me 4 months to get it because I had to have it sent to a friend in LA and then she brought it to me when she returned to Costa Rica. I finally found another # on the Amanda email and called it, (I asked for Amanda and added that I needed someone who spoke English) so they connected me with Billy, who told me that Amanda didn't speak English. I told him my story. He asked me for the links to each item and placed the order for me. I was pretty happy till I received the quote/order for $355 (AND included tax). With our passports we can order up to $1,000/yr tax free -- so I sent 3 emails asking to have the order revised. No response. Yesterday, I attempted to contact someone, anyone, with no luck. As a last resort, I decided to start the online "chat help session" I got a lady who said she spoke English (I think they all use a translator of some sort but who cares?) I told her my story. She explained that she had to cancel and re issue the order, which she did (order total $289). However, there is still a little matter of an exemption form I needed to complete (and sign) to have tax eliminated (the info attaches to your passport so they can track your exemptions). I completed the form online, charged the item to my card and thought I was on my way, until...I discovered she ordered the wrong item! I will spare you the gory details. Suffice it to say I had to go into town today (via taxi for $20 round trip), re sign the form, have that order cancelled as well and a new one issued. FINALLY - The total WITHOUT any tax was a whopping $334.16 (and that was minus about $46 for taxes)!!!!! The 2 items originally costing $139 and $62 were now $213 and $124 respectively (duty calls). Update - later this evening I received an email saying my order was processed and a tracking #. And please don't anyone ask me again "why don't you just order it online?"